Audi is testing factory vehicles powered by used lithium-ion batteries at its main plant in Ingolstadt. Like all automobile manufacturers, Audi is obliged by law to take back energy carriers after they have been used in cars. 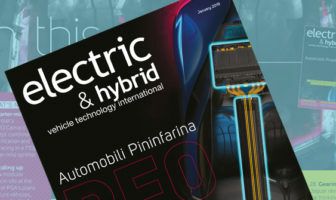 As these retain a large proportion of their original charging capacity, an interdisciplinary project team is now investigating how batteries from Audi e-tron test vehicles (or from hybrids such as the A3 e-tron and Q7 e-tron) can have their usefulness extended. 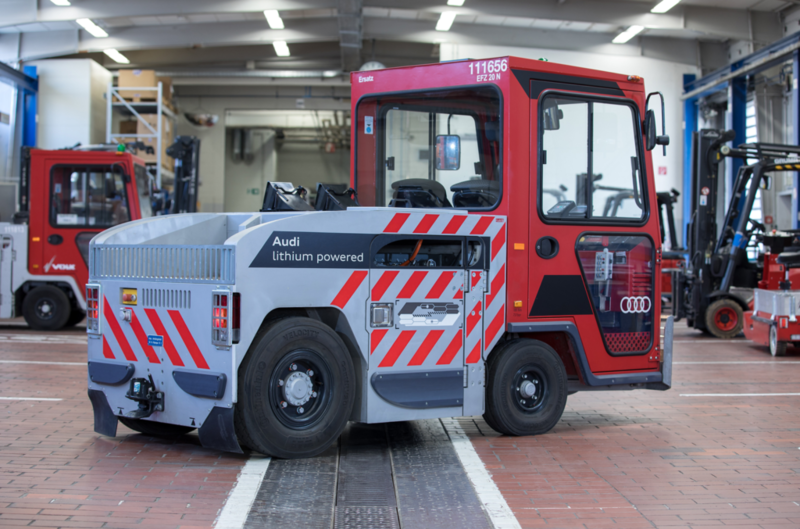 Factory vehicles in Audi’s production plants – such as forklift trucks and tow tractors – have previously been powered by lead-acid batteries. When the batteries are empty, employees remove the battery packs, which can weigh up to 2 tons, and connect them to a charging station for several hours. Lithium-ion batteries, however, can be charged directly where the vehicles are parked during normal downtime. 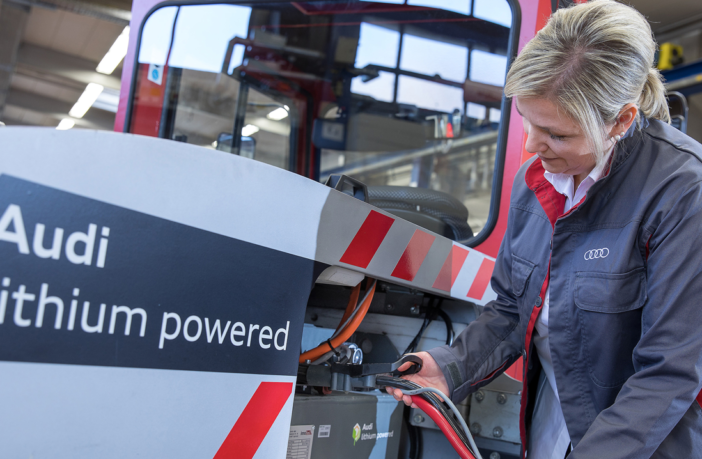 “Every lithium-ion battery represents high energy consumption and valuable resources that must be used in the best possible way,” said Peter Kössler, member of the board of management for Production and Logistics at Audi. The remaining charging capacity of a lithium-ion battery after use in a car is more than sufficient for the requirements of the transportation vehicles, and these vehicles can even enjoy enhanced driving characteristics when using the second-life batteries – they can keep their speed constant even on ramps, something not possible when using lead-acid batteries. The battery of an Audi e-tron consists of 36 individual battery modules and is located under the car’s passenger cell (between the axles). After batteries are reclaimed, the project team checks each individual module for continued usability. They then install 24 modules in each new battery tray. This has the same dimensions and weight as the previous lead-acid batteries of the factory vehicles. In the future, specialized employees could take over the assembly of the second-use batteries in Audi’s own battery center. The project team from the areas of production, logistics and development has been working on this second use of used battery modules for about two years. After the first tests were successful, they are now testing the first converted factory vehicles in everyday production.